Our first workshop featuring the 'Little Vintage Hall' is this Sunday at our lovely Thame venue - The Thame Girl Guide Headquarters. 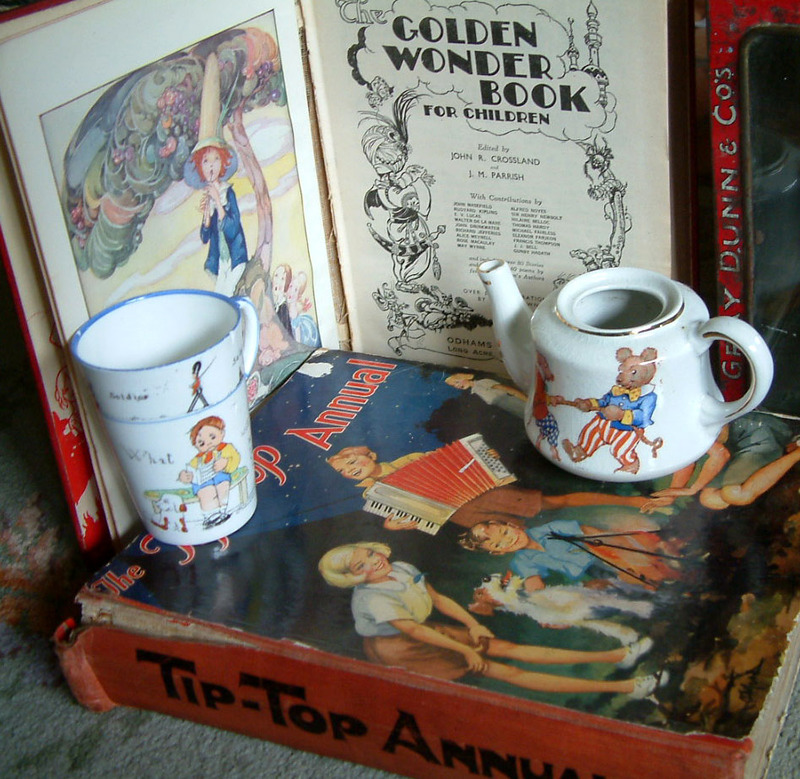 And as we try to 'set the scene' like we do for all our workshops, this time we have been looking at our own collections of 1930s/40s bits and bobs for inspiration. 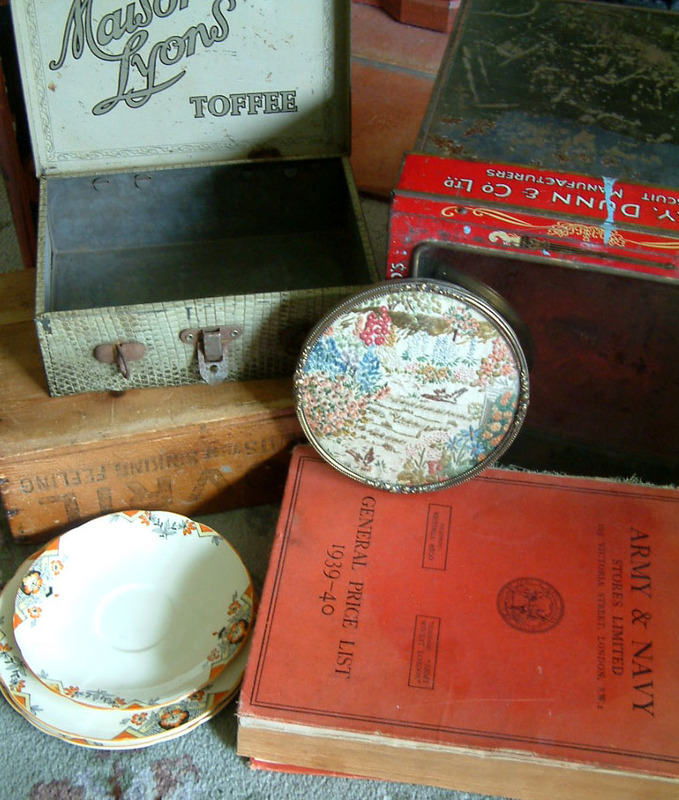 We are both passionate about the pre-war period style in furniture, fabrics and 'objet', let alone the wealth of ephemera that has survived - you can see that we have quite a lot to draw on. Our hall is not a domestic setting of course but the style of decoration, furnishing and contents will be in keeping with the surroundings of the local homes and lives of the inhabitants. 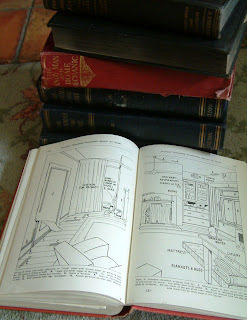 Our imaginary rural village is not rich by any means so no doubt in times of 'make do and mend', woodworking instructional books such as The Handyman In The Home, Practical Handywork For All and publications such as Handicrafts or Hobbies would have featured in many a shed or bookshelf. By the late 1930s it was clear that war was inevitable so preparations were in hand; while the gardens were filled with perhaps more vegetables than flowers, the annual Gardening Society Show went ahead as always in our little imaginary village! Ladies considered how to keep up with the latest trends on slim budgets. Many more ladies and girls sewed and embroidered beautifully - both from necessity as well as for pleasure. Then, just as now, there was great enjoyment from creating a charming and attractive home with many beautiful items that continue to please us all these years later. No tv's, iPods or computers back then - oh no siree! Children's books and toys were so rather different to now. Many of these old 1930s treasures are still a delight, giving great insight and information about eras that are long gone. The Little Vintage Hall....The Other Room Workshop will be an additional little room that can be added onto our old hall in the next workshop after the summer. Booking for this September workshop will open on Sunday. 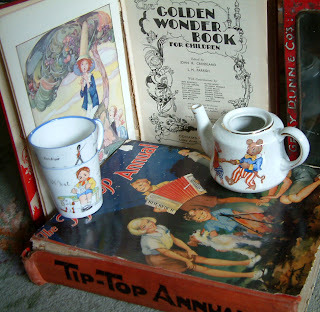 Then we shall be exploring the variety of social events and activities in October's workshop which goes by the title of .......What's On In The Little Vintage Hall....great fun! More info about that workshop coming shortly. You can keep up to date with all the goings on in The Little Vintage Hall on both this blog and on our Nostalgia In Miniature Website where you will find booking details and information about future (and past) workshops. As always, we are very much looking forward to Sunday's workshop and seeing not only familiar faces but some new ones too. Let's hope the April showers ease off a little and that the sun can shine a little. The Little Vintage Hall Workshop Photos At Last!